UNESCO World Heritage Sites: Hanumandhoka-Swayambhu circuit on anvil - Integration Through Media ....! KATHMANDU: The Kathmandu Metropolitan City (KMC) has prepared a master plan to develop a heritage circuit between two historical and cultural heritage sites, Hanumandhoka and Swayambhu. The city office will unveil its master plan amidst a function to be organised at Hanumandhoka on the occasion of the International Day for Monuments and Sites that falls on April 18, or this coming Thursday. Prior to the event, a rally will be organised from Bhuinkhel, Swayambhu to Hanumandhoka Durbar Square. According to Nhuchhe Kaji Maharjan, Coordinator of Heritage and Tourism Committee, the heritage-walk would promote cultural heritages that lie in between the two world heritage sites, which lie at a distance of 2.2 kilometers from each other. He said the concept would help promote tourism and make general public aware about the heritage sites and sensitise them about the need of preserving them. Likewise, the concept will make a positive impact at the local level by promoting local products and local business, which will result in economic development of the locals, he added. Maharjan said they had expected that the heritage-to-heritage walk would help identify, promote and pass the tangible and intangible heritages from generation to generation. The participants of the heritage-to-heritage walk will be able to observe 20 important heritage sites located in between the 2.2 kilometers. 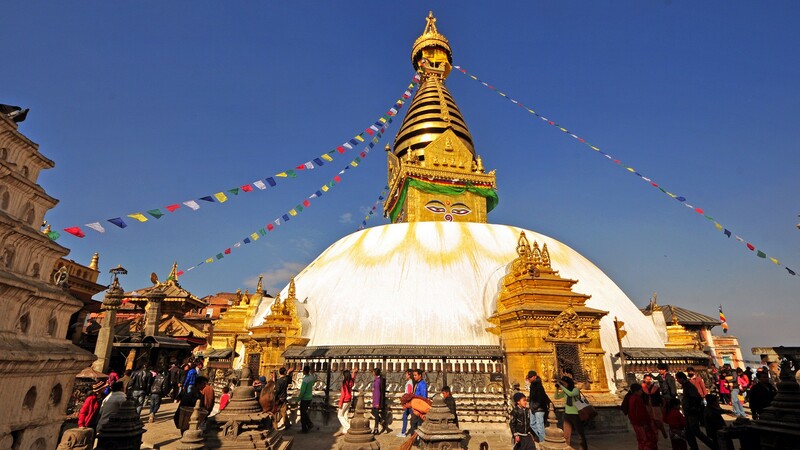 Hanumandhoka and Swayambhu are UNESCO World Heritage Sites. Under this drive, heritage located between Hanumandhoka and Bhuinkhel were tidied up. Nepal is probably the only country in the world where the two world heritage sites lie at such a short distance, said Maharjan. It does not take much time and effort for the tourists to walk from one heritage site to another, the city office informed. A numbers of heritages like Maruganesh, built in the 12th century, Kasthamanda built in the 7th century Maruhiti built in the Lichchhavi era, Santaneshwor Mahadev built in 1734 B.S, Marubahi, Banjahiti and Naradevi built in the 13th century are found between the two world heritage sites. According to the KMC, the heritage circuit was determined in consultation with the trail-developing experts certified by the UNESCO. The city office has appealed people from different walks of life to participate in the heritage-walk to make the historical heritage sites known to the world. The KMC has planned to put marks at the heritage sites located in between the trail so that the participants can identify the sites with the monumental values, to convert the local houses into the traditional houses, exhibit local art and wall arts and renovate the pati pauwas (traditional resting places). The city office will establish an art gallery, library and tourism information centre for documenting, promoting and preserving the tangible and intangible cultural heritages, Maharjan informed. On November 16, 1972, the General Conference of the UNESCO adopted the Convention Concerning Protection of the World’s Cultural and Natural Heritages. Over 190 states, including Nepal, have ratified the convention. 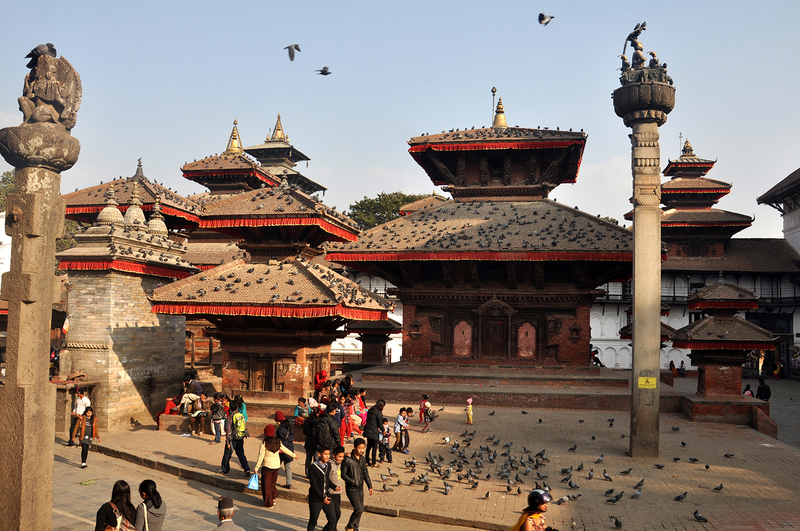 Nepal has ten world heritage sites that include religious, historical and natural heritages.